A plane from hell made an emergency landing in Russia today after passengers complained they were ‘suffocating’ and ‘turning green’. Panic swept through the cabin of the Ural Airlines flight from Moscow to Dubai with one passenger claiming sickly people had ‘greatly dilated pupils’. The pilot demanded an emergency landing in the southern Russian city of Volgograd around one hour 25 minutes into the flight amid fears of mass poisoning on board. Videos show doctors and paramedics from five ambulances rushing on board the Airbus A321-211 after it landed. Several passengers out of the 150 on board were taken for medical treatment. Their conditions were not immediately known. The strange symptoms particularly affected passengers between rows 21 and 26 in economy class, those on board claimed. 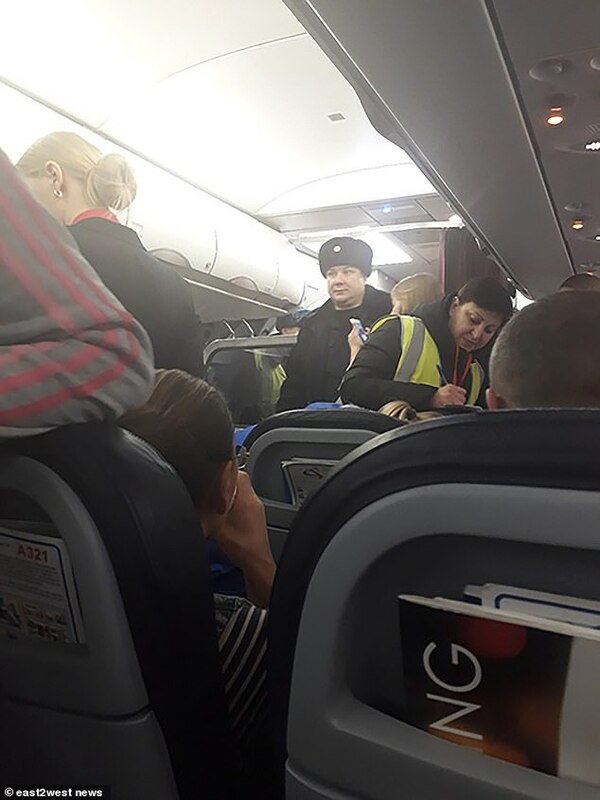 A woman passenger from Sochi who left the aircraft in Volgograd said: ‘I was woken by a young woman screaming for assistance. ‘She yelled and screamed ‘Help, help!’ because her husband felt ill. He was feeling really bad. He was suffocating and he couldn’t breathe in. Passengers with children moved them away from the rows blighted by the strange symptoms. 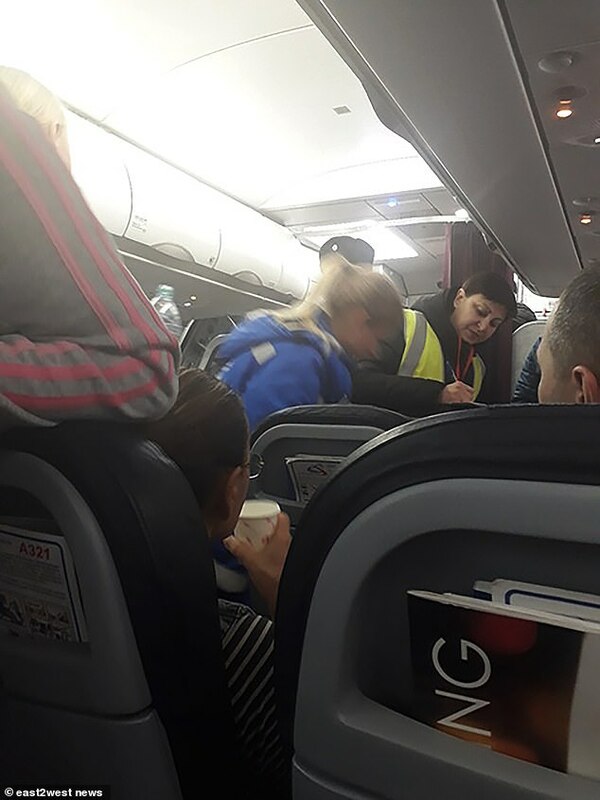 Passenger Ilya Brinder, from Nizhny Novgorod, told TV360 a number of passengers began to feel ‘sharply ill’ some 40 minutes into the flight. ‘All of them had greatly dilated pupils. They were suffocating. He said the condition was ‘definitely not food poisoning’ from the plane. An airport official said that five people felt unwell when the plane landed and doctors looked at all of them. Anastasia Golodova, airport spokeswoman, said the Ural Airline plane of landed at 3.23am today. After treatment three decided to continue the flight but two refused and were admitted to hospital. A ‘drunk woman’ aged 29 was also taken off the flight after she had allegedly ‘attacked the crew’. The plane, flight number U6-893, was thoroughly checked and left again for Dubai after two hours and 20 minutes. There has been no official explanation so far for what caused the terrifying symptoms. One theory was food poisoning hitting a group of passengers who had eaten together before the flight.